Everyone seems to have a way to spot an undercover cop car. These days, it’s not so easy. Unmarked Dodge Chargers and other stealthily vehicles used by police for traffic enforcement are hard to spot. Obviously, they do this for a reason — so aggressive speeders won’t see them. But what about determining which kind of law enforcement you’re receiving a financial spanking from? With the addition of Kingston attorney Jeanette Dalton, three lawyers have now announced their intentions to take Leonard Costello’s seat on Kitsap County’s superior court bench. 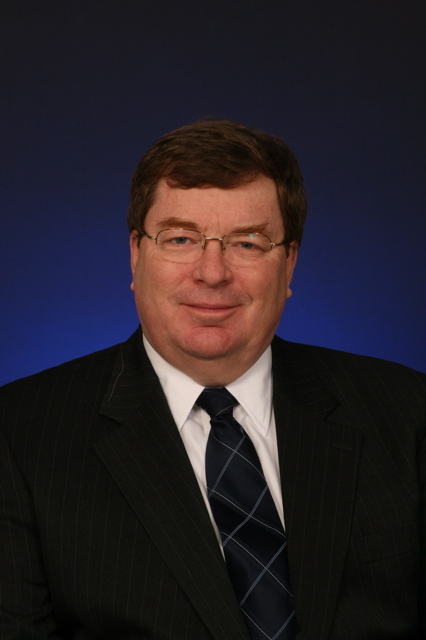 Odds are that Dalton and fellow candidate Bruce Danielson would also agree with Wall’s (pictured) slogan — between the three, there are seven decades of judicial experience. There are sizable differences between the candidates concerning their areas of experience, however. Are ‘Bikini Baristas’ Something to get Steamed About? The south sound communities of Auburn, Lakewood and now Bonney Lake have each been stirred up by the scantily-clad fashion statements made by local coffee stands, the Tacoma News Tribune has reported. This is nothing new for us in Kitsap, whose residents have already confronted “pastie Tuesdays,” at Espresso Gone Wild in Gorst and the hot pink pants of Natte Latte nearby. Other stands around here have also featured promotional “bikini” days. But are these kinds of stands, where “bikini baristas” foam your double tall lattes wearing next to nothing, breaking the law? So wondered the News Tribune, who was told that the three cities who had complaints did look into the law-breaking aspect. Once again, Bainbridge has been the target of thieves who believe they can rake in a substantial take on an island that has a reputation for unlocked doors and unprotected property. “Candy land,” was how one thief interviewed by police called it. And this past Friday, some apparent thieves from Federal Way actually purchased ferry tickets — and these days, that’s a sizable investment — and took an alleged criminal tour of Day Road on the island. Sixteen new Washington State troopers have recently started patroling the roadways of “District 8” — the WSP’s area that includes the Kitsap and Olympic peninsulas — and many of them are fresh out of the patrol’s Shelton academy. 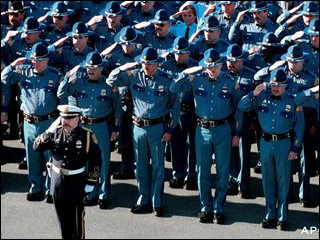 According to trooper spokeswoman Krista Hedstrom, 13 of them participated in the 95th basic training academy, whose graduation was held in April. Bremerton’s red light cameras have been busy snapping photos of motorists cruising a little too late through the city’s intersections. The police department had written about 1,846 violations as of a May 21 article in The Olympian of Olympic College. At $124 a pop, that adds up to a lot of money in a short span. Of course, safety is the primary goal of this whole project, right? If that’s the case, those numbers should come down as drivers learn their lessons. 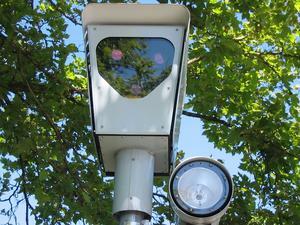 But there’s one way these cameras may be exposing an ignorance — one motorists will be paying for. Here’s a Web site some of you will want to check out. The National Motorists Association appears to have banded speed trap haters across the country together for an informative site that lists cops’ favorite fishing holes. You can find places in our own West Sound, too. Here’s their list of Washington cities. You can also add a speed trap and learn how to fight a ticket. May 21, 2008 Roadway Safety, Why the Cops? Kitsap County’s public defenders had already been bracing for change. Turns out there was more in store than they thought. Those lawyers, who take on cases for those who can’t afford a lawyer, have seen a sizable drop in their felony case loads in the past year. Lawyers at some firms have even been laid off. They had already been waiting for the results of the so-called “Jack Hill” report, which calls for the county to pay for a lawyer to provide oversight and quality control for the system. Here’s another thing to factor in: In 2002, 15 firms received indigent defense cases from the county clerk’s office. Now, 18 have contracts to receive them. Thus, more lawyers, less cases. This just in from Los Angeles: a Missouri woman has been indicted on charges that she cyber-bullied a teen to the point she committed suicide, the Los Angeles Times reports today. The charges are the first of their kind in the nation, U.S. Attorney Thomas O’Brien told the Times. Cyber-bullying is a topic Kitsap Sun readers may recall. We once told the story of a Central Kitsap teen who’d become scared to go to school because of electronic bullying. And just a couple of years ago the north end of the county was rocked by tragic suicides of two boys, reportedly motivated by bullying that had happened at school and online. Two traffic emphasis patrols have been announced this week that will target aggressive and drunken drivers and motorists who’ve failed to buckle up. First up is another round of the X-52 patrols, courtesy of the Washington Traffic Safety Commission and the Kitsap County Traffic Safety Task Force. Cops will be out in force this Saturday for the annual Viking Fest celebration in Poulsbo. The local traffic safety task force reports that 10 people have been killed in Kitsap this year on area roadways and more than 400 drunken drivers have been arrested. May 19-26 is also “buckle up” week, an event the Washington State Patrol will be celebrating by watching closely for motorists who fail to do so. Washington state, to its credit, does have a purported 96 percent rate of seat belt wearers, the highest in the nation. It’s $124 fine for a seatbelt violation in Washington. I don’t need to tell you that DUI and reckless driving are far more expensive (though no price could be placed on a fatal DUI crash).